Tell the EPA! Protect our Water! Tell the EPA: Don’t Delay to Protect Clean Water! Show your support for the EPA’s efforts to better manage polluted runoff, a major source of pollution to our rivers and streams across the country! Ask your representatives to tell the EPA not to delay in issuing a rule to update its stormwater programs to better protect clean water. A recent report released by the U.S. Environmental Protection Agency (EPA) shows that approximately 55% of our rivers and streams are in poor biological condition. Polluted runoff is identified as one of the major sources of pollution to our rivers and streams. What is the EPA Doing? In 2009, the EPA announced its intention to update and modernize its existing programs to better manage urban runoff and protect clean water. The Agency is considering requiring that developers use techniques to control runoff before it flows off-site. This simple step may drive the use of green infrastructure practices such as green roofs and rain gardens. Additionally, they are considering requiring existing sources of urban runoff and sources in critical watersheds to reduce their impact. Unfortunately, the EPA continues to delay in issuing a new rule, so untreated pollution continues to run into our rivers. The EPA needs to act. We need you to show your support for the EPA’s efforts to strengthen its stormwater programs and better protect our rivers and streams. Send a letter to your Member of Congress expressing concern over EPA’s delays and ask them to put pressure on the EPA to move forward on these critical updates to protect clean water and public health. As a supporter of Waterkeeper Alliance and clean water, I am writing to express my concern over the Environmental Protection Agency’s delay in proposing a national rule to update its stormwater programs to better protect clean water. This marks the sixth time that the Agency has passed a deadline to propose critical updates to our nation’s stormwater runoff programs. Polluted runoff is one of the major sources of pollution to our rivers, streams, lakes, and bays. When rainwater hits hard surfaces such as roads and rooftops, it can’t soak into the ground. Instead, it flows along the surface and picks up pollutants like heavy metals and chemicals before eventually flowing into local waters. As our communities continue to grow, our ability to manage the resulting polluted runoff has not kept pace. We can do better. Updating federal standards to capture and treat rainwater where it falls will keep pollution out of lakes, rivers, and streams and reduce localized flooding in a proven, cost-effective way. The EPA has the opportunity to protect clean water across the country from the Chesapeake Bay to the Puget Sound by updating its programs to capture and filter rainfall, minimize pollution from new or redevelopment, and address runoff from existing sources. I’m very concerned about the problem of polluted runoff and its impact on clean water and the health and safety of my community. A fair and effective nationwide rule will help mitigate the economic, health, and environmental costs imposed on taxpayers and businesses by unregulated runoff. In fact, FEMA estimates that up to 25 percent of economic losses occur as a result of flooding exacerbated by urban runoff. Please urge the EPA to move forward on these critical updates to protect clean water. Paddle safely! Use the links below to quickly access information that impacts river conditions. Friends of the Kaw welcomes monetary donations of any size. These funds are used to support our educational activities and help us protect the Kaw. Use the button below to go directly to our PayPal donation page. Ready to get involved? 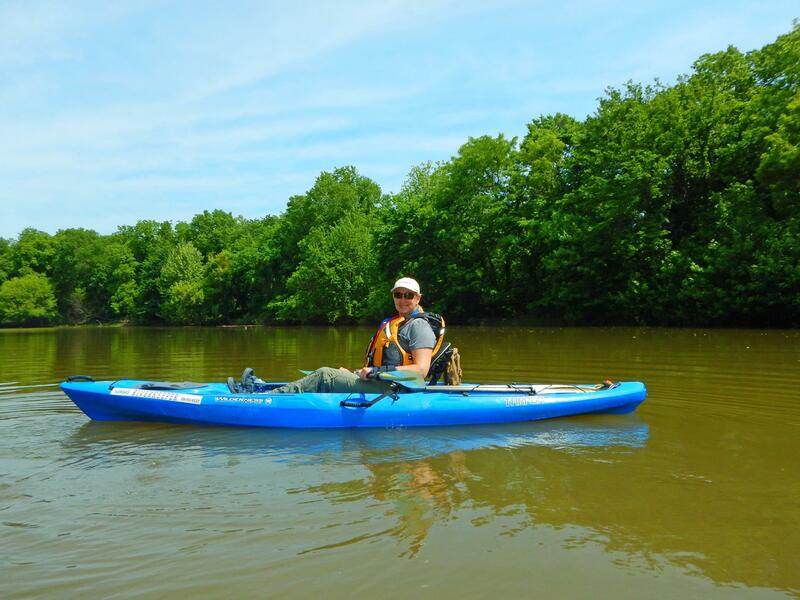 Click below to learn about our membership options and to stay informed about the latest news related to the Kansas River and Friends of the Kaw. Help us to fight pollution on the Kaw. Report events or activities on or near the river that could negatively impact water quality. To view the complete calendar, click here. Sign up to receive email newsletters and stay up to date on what's happening with the river! Click here to view archived newsletters.